(StatePoint) Everyone enjoys a hearty spread of comfort food for the big game. The range of flavors and textures in these dishes tend to run the gamut from salty, spicy, and meaty, to creamy, crunchy, and cheesy, making beer the natural pairing. However, if your drink of choice is wine, finding the right selection can be tricky. Sauvignon Blanc is very food-friendly, particularly when paired with many game day favorites like nachos, guacamole, salsas and chicken with some heat. Those from the Marlborough region of New Zealand, such as Infamous Goose Sauvignon Blanc 2017 (SRP $14.99), are crisp, with bright citrus and cool herbal flavors, and would pair well with the majority of dishes on your table. The reason this wine is such a refreshing selection, is that the Sauvignon Blanc grape is grown in relatively cool climates for a slow ripening period, which intensifies the flavors in the fruit. If you enjoy wings, finding a wine pairing for your feast will be your biggest challenge due to the range of toppings -- from bold-flavored spices to thick, mouth-coating sauces. Try serving Lemon Pepper Wings alongside a glass of Sauvignon Blanc. With its vibrant aromas of fresh lemons, limes, green apple, Thai basil and a touch of floral honey, it is a delicious pairing with this bright dish. When served chilled, the cooling herbal notes in the wine will also help to temper the seasoning. • Heat oil in a deep-fryer or large saucepan to 375 degrees F.
• Stir lemon pepper and lemon juice into 1/4 cup melted butter, set aside. • Fry the chicken wings in hot oil until no longer pink at the bone and the juices run clear, about 8 minutes. An instant-read thermometer inserted near the bone should read 165 degrees F.
• After cooking, toss hot wings in lemon butter mixture, coating all sides. Serve immediately. From high-end cuisine to your Sunday football spread, a carefully selected Sauvignon Blanc can be served at any occasion. 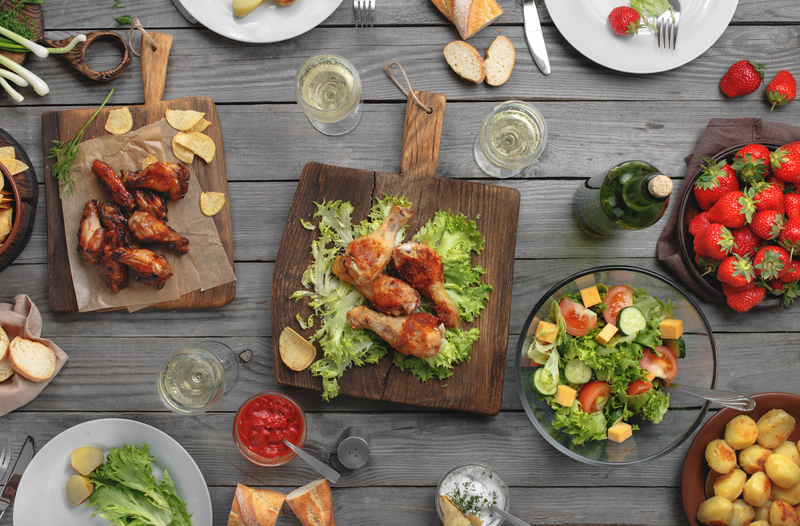 This season, surprise your guests with a delicious pairing of wine and wings.